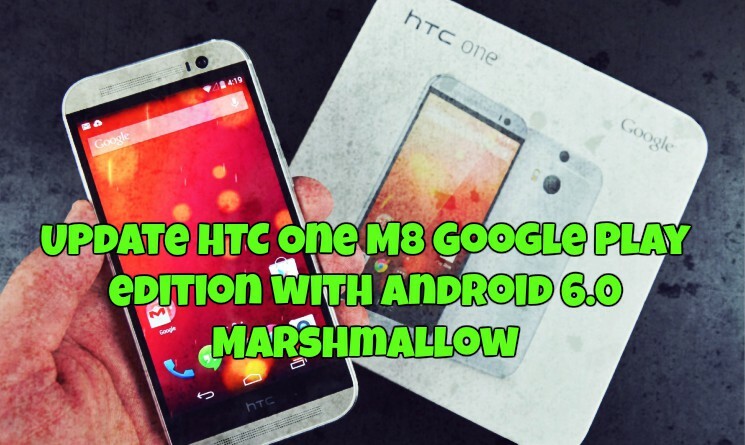 Android 6.0 Marshmallow now rolling out to HTC One M8 Google Play Edition. Most of the HTC One M8 already received the OTA update on their phone. Marshmallow is the latest version of the Android operating system and comes with lots of new features and security fixes. Nexus devices are the first devices which received this new Android 6.0 update and now most of the other phones are receiving the same and HTC One M8 Google Play edition is new in the list. If your are the HTC One M8 Google Play edition then check for the OTA android 6 updates on your phone. Go to the Settings > About phone > System update. The new Android 6.0 Marshmallow OTA update is around 450MB and includes all of the notable Marshmallow features users have come to expect. Which includes app drawer interface tweaks, improvements to Google Now, a new text selection tool, refreshed app permission settings, battery life improvement through Doze functionality, and many more. If you are HTC One M8 Google Play edition and want to update your phone manually, here is the guide which you can follow n your phone and update the same with latest Android 6.0 Marshmallow. The guide is only for the HTC One M8 Google Play edition users and don’t try this on any of the other android smartphones. Before that do take the full backup of your phone and save it in some safe place. This method will only work on the stock recovery, If you are the rooted user with TWRP then this guide is not for you. To update the phone first download the Android 6.0 Marshmallow OTA zip file from the below mention link. Once the file is downloaded, save is on your phone’s internal memory and remember the location of the file. Now boot your phone in recovery mode and flash the zip file. Now the flashing process will start on your phone and this will take some time. Once completed, reboot you phone and now you can enjoy the Android 6.0 Marshmallow features on your HTC One M8 Google Play edition phone. Done! Now my device is on Android 6.0 Marshmallow. Thanks for the quick tutorial.